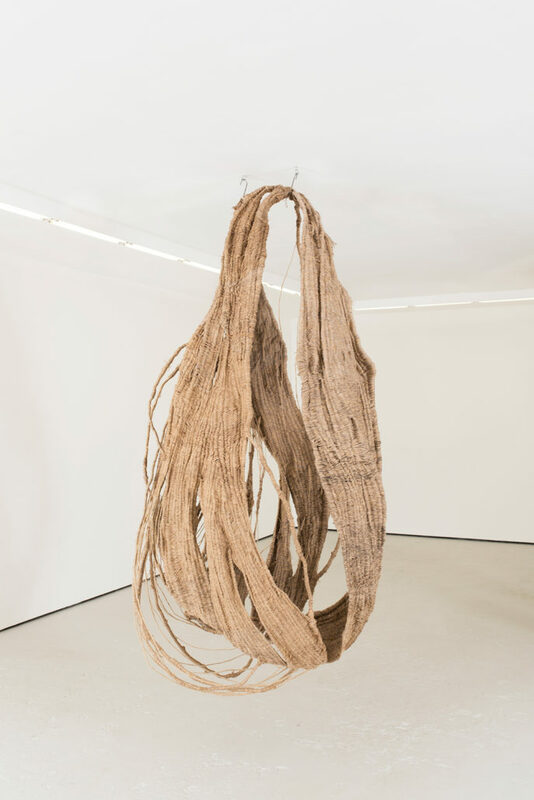 UNIT9 is pleased to present Growth, an installation of newly commissioned works by London-based artist Soojin Kang. 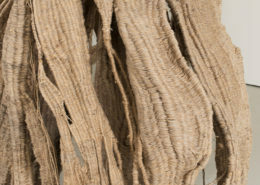 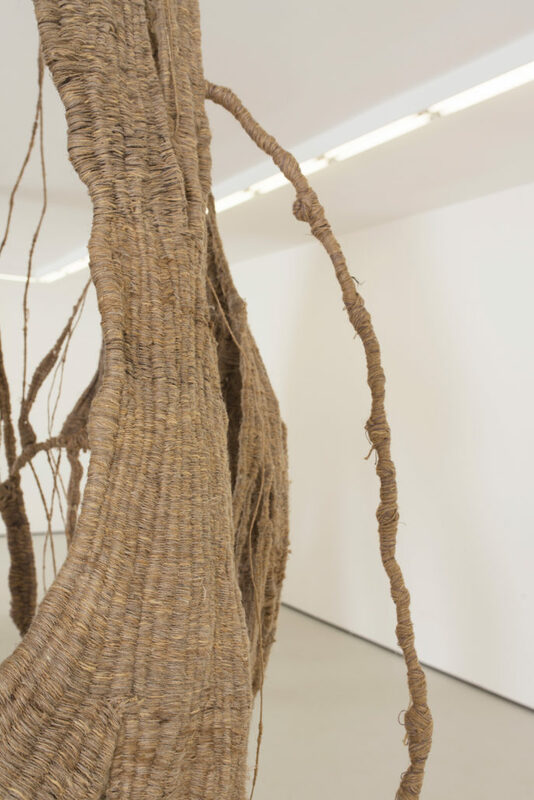 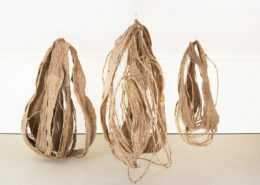 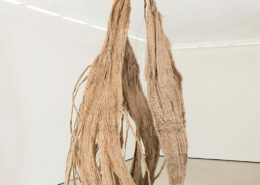 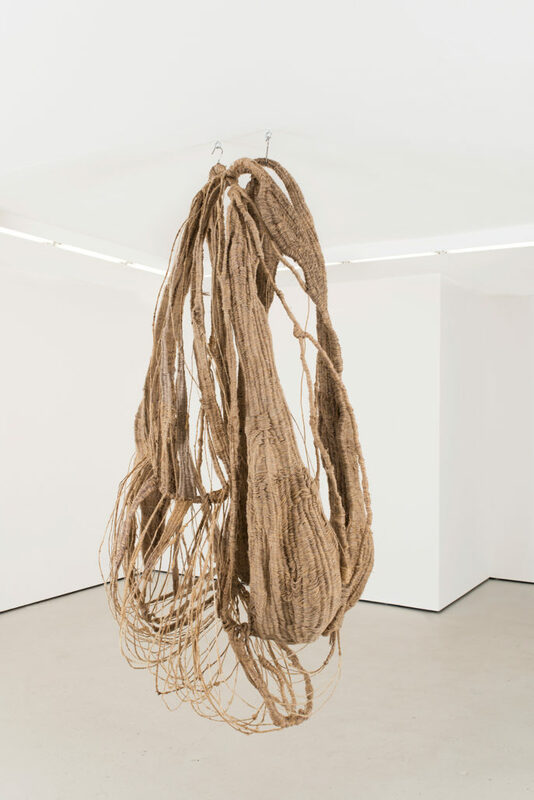 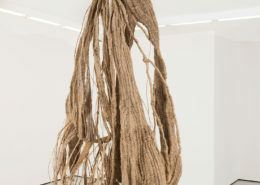 Three large pods woven from linen, cotton, silk and jute are suspended full-height occupying the space of UNIT9, seeming hybrids between organic and alien forms. 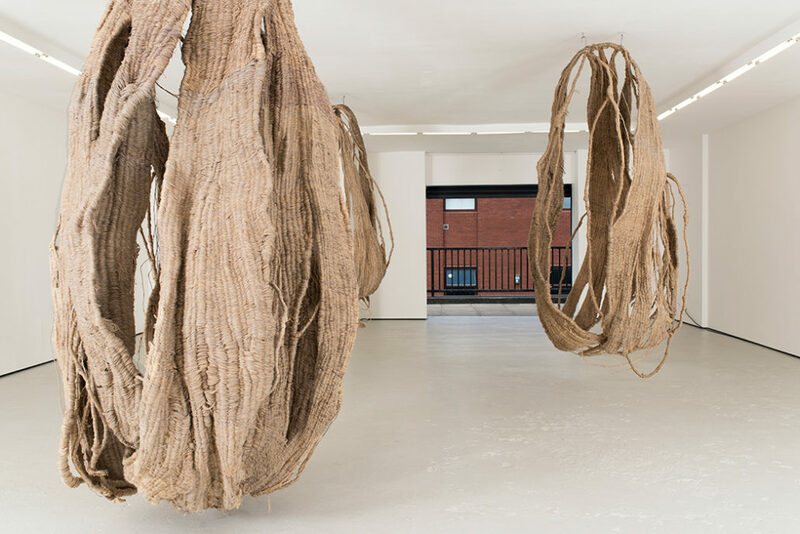 Reminiscent of giant desert plant pods, insect nests or genitalia, each form is composed in muted colours with an open axis that allows viewers to observe its interior, blurring inner and outer surfaces. 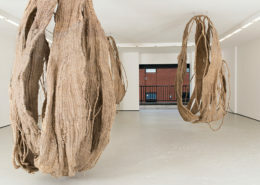 The collapsed structures offer subtle nuances and expressions through the artist’s use of material, colour and texture. 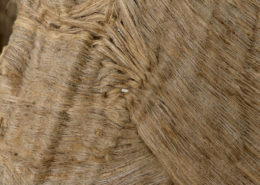 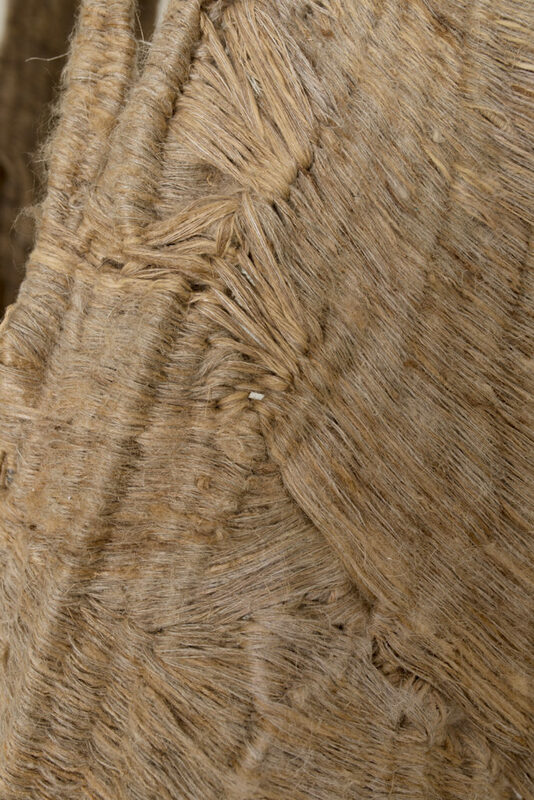 According to Mayan mythology, weaving was a way of imbuing an object with healing powers. 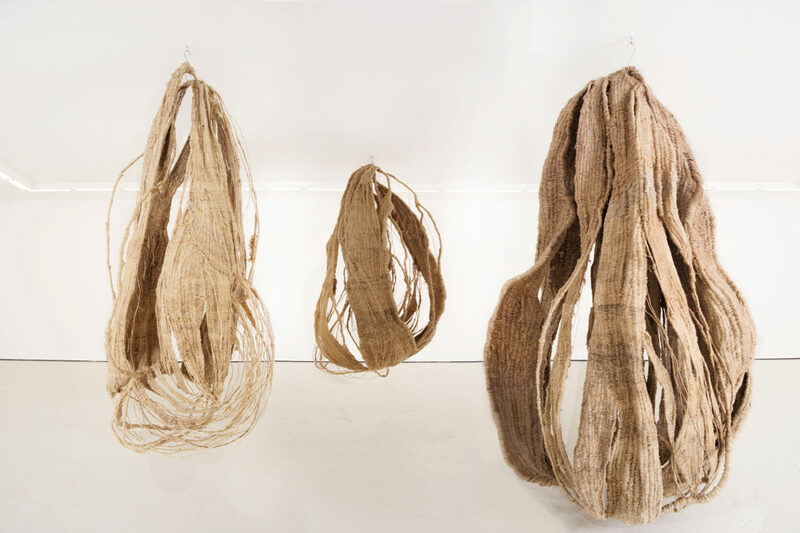 Binding, weaving, wrapping and knotting, Kang creates tactile abstract forms born of reduced, repetitive gestures that act as conduits to the subconscious. 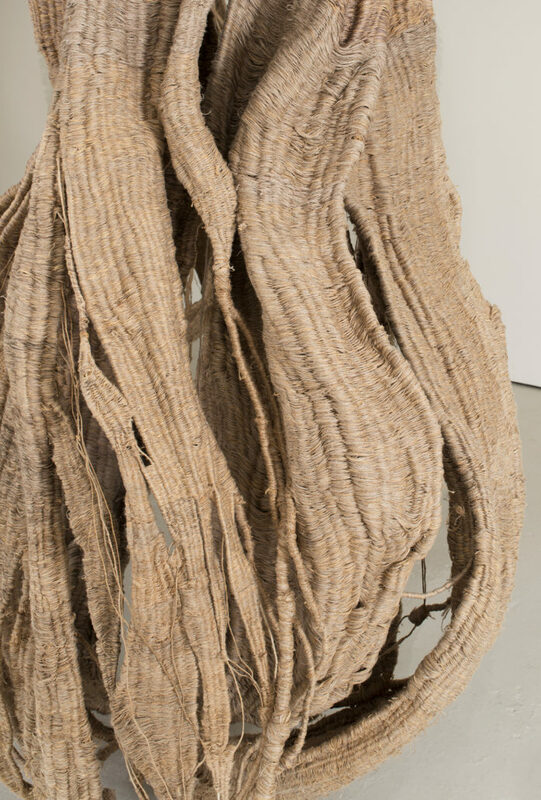 The sculptures combine a formal study in negative space with an instinctive urge to create. 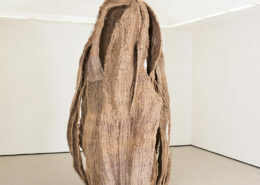 Likening the surfaces of the works to scars on the body, Kang is interested in expressing character through the elevation of material through process. 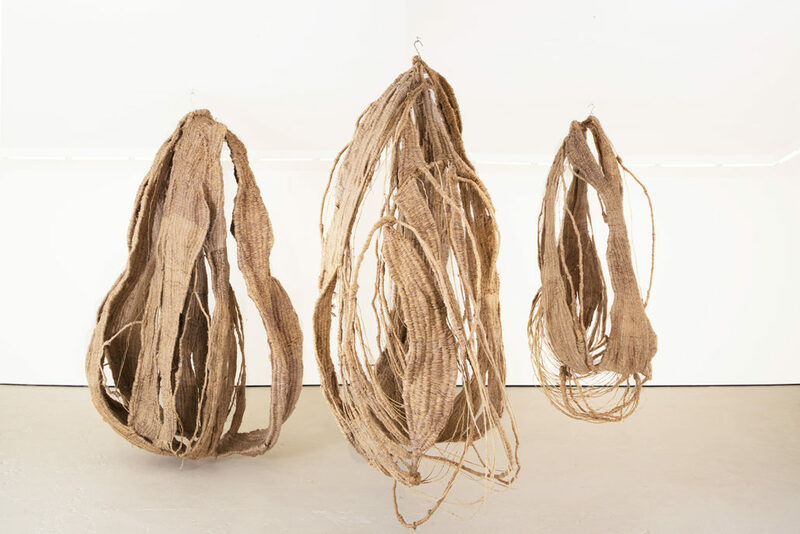 Bordering on dystopian, the deflated works nevertheless offer a humble beauty with emphasis on the handmade, imperfect and unfinished. 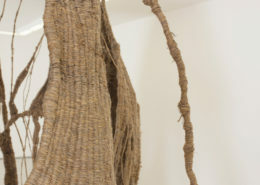 Soojin Kang (b. 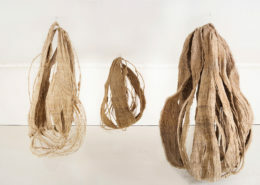 1978, Seoul) graduated with an MA in textiles from Central St. Martins in 2009. 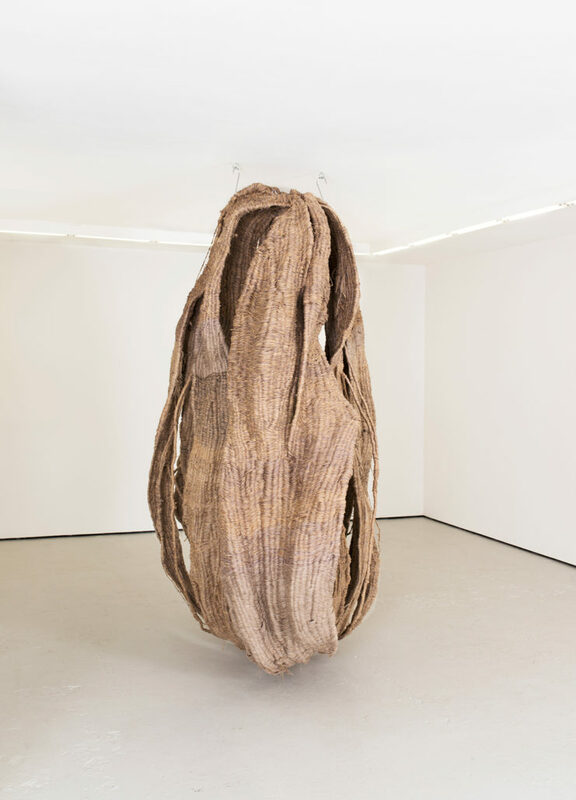 Selected group shows include ‘The House of Penelope’ at Gallery 46 (London, 2017); COLLECT, The International Art Fair for Contemporary Objects at Saatchi Gallery (London, 2017) and ‘Wild Things’ at Texture Museum (Kortrijk, 2016).